The third-generation Plymouth Barracuda was new for 1970 and the top-of-the-line ‘Cuda, when properly equipped, was the absolute king of muscle cars. The 1970 and 1971 ‘Cudas are particularly collectible, but the 1970 model was a little cleaner in design. This car has the biggest and baddest engine that was available: Chrysler’s stunning 426 Hemi – a 7.0-liter V-8 rated at 425 horsepower. This car was ordered new just as you see it – in high impact Tor Red with painted wheels. The new owner, who was in his 60s at the time, used the car exclusively at the drag strip. When he passed away shortly after a handful of quarter miles, the car was sold and the new owner covered just a single mile in the car in 16 years. The next owner drove it the most – 73 miles. That’s right. This car has 81 miles on it. It is the lowest-mileage ’70 Hemi ‘Cuda known to exist and short of Chrysler discovering a warehouse full of unsold cars that rolled right off the factory floor into storage, you will never find anything like this again. It is a time warp car – unrestored but completely roadworthy. 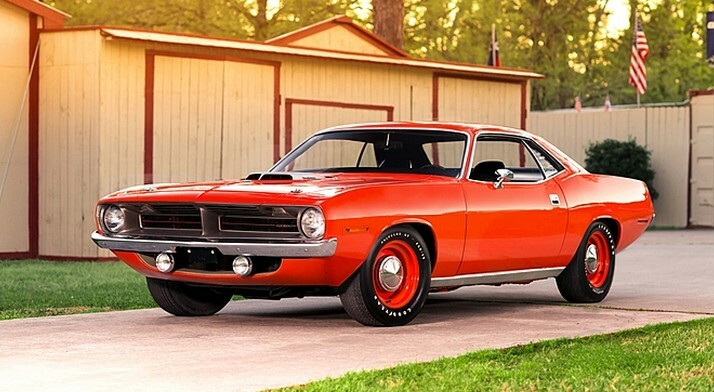 It is one of the final 10 Hemi ‘Cudas built in 1970 – but it’s the mileage that sets it apart. Look for a price between $600,000-$800,000 when it crosses the block. Click here for more info and here for more from this sale. This entry was posted in Uncategorized and tagged 1970, auctions, cars, classic cars, cuda, hemi, mecum, plymouth by classiccarweekly. Bookmark the permalink.